Database Systems Corp. (DSC) is a leading provider of computer telephony products and outsourcing services. Our call center phone systems process both inbound and outbound calls. One of the more important features of our phone system is our voice response unit, commonly referred to as VRU. Our Voice response system adds another dimension to the PACER and Wizard call center phone systems. It enhances the current robust features of predictive dialing, ACD, and digital call recording. Voice response unit systems front end your phone and collect useful information from a caller before the call is transferred to an agent. The VRU system could fulfill the caller’s request without a transfer. The Pacer IVR/VRU software solution gives your organization a 24 by 7 capability, providing around-the-clock information to your callers. What Is A VRU (Voice Response Unit)? Voice Response Unit, or VRU, is a computer telephony integration (CTI) term that refers to the interaction between a human (typically a caller) and a computer that is programmed to respond to the human's requests. Also referred to as interactive voice response (commonly abbreviated to IVR), this is a computer phone application that accepts touch-phone keypad selection input from the caller and provides appropriate information in the form of voice answers or a connection to a "live" operator. 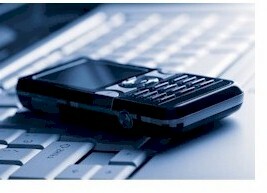 VRU software controls the operation of inbound phone call processing. This software application can be integrated into a complete call center operation. For a complete listing of our voice response unit applications as well as our outbound calling applications, please see our phone applications. Contact DSC to learn more about our VRU systems and voice response software. 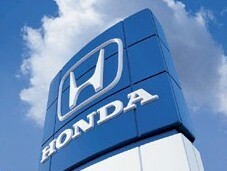 Honda Corporation uses our voice response technology and phone service to process calls from its employees who are unable to report to work. A full script allows the employees to describe why they are unable to work and reports are provided to management in a timely fashion. DSC provides an extensive IVR Software library that is used to create virtually any phone application. Several of the features include our own easy to use voice response unit software that leads you step by step through the operation of your custom phone applications. You can design and develop your own computer phone applications using our comprehensive software toolkit. Alternatively, DSC can provide you with a custom phone application. These applications can be easily ported to our digital phone system when your call volume requires a larger system. DSC offers both an affordable and expandable VRU system. This solution includes a modern Windows PC with Dialogic computer telephony cards. When combined with our extensive IVR software, these phone systems can perform both inbound call distribution as well as outbound IVR call campaigns - concurrently. The WIZARD analog IVR phone system is our entry level call center phone system that supports analog phone lines. If your calling center requires more lines, our PACER digital IVR phone system can be used in environments where digital phone line support is necessary. Contact DSC for a FREE analysis and quote and to learn more about our voice response systems, software and outsouring services.